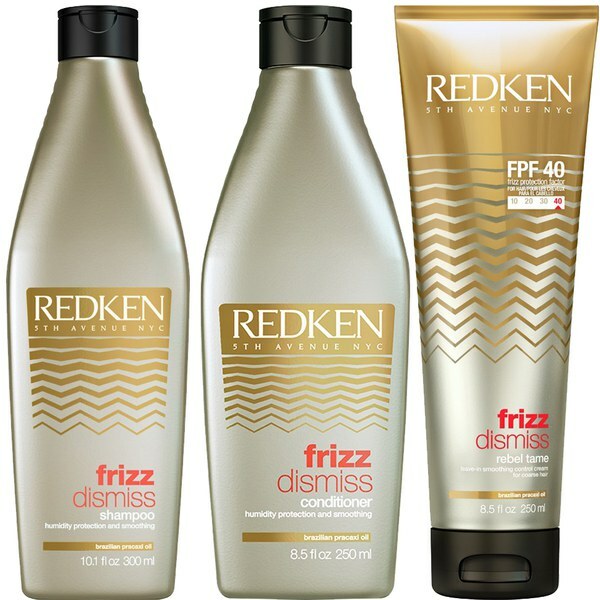 Redken Frizz Dismiss Hair Trio provides smoothing and humidity protection for all hair types, from fine to coarse. The kit includes everything you need to fight frizz and flyaways, revealing calm, manageable and sleek locks. E.N. 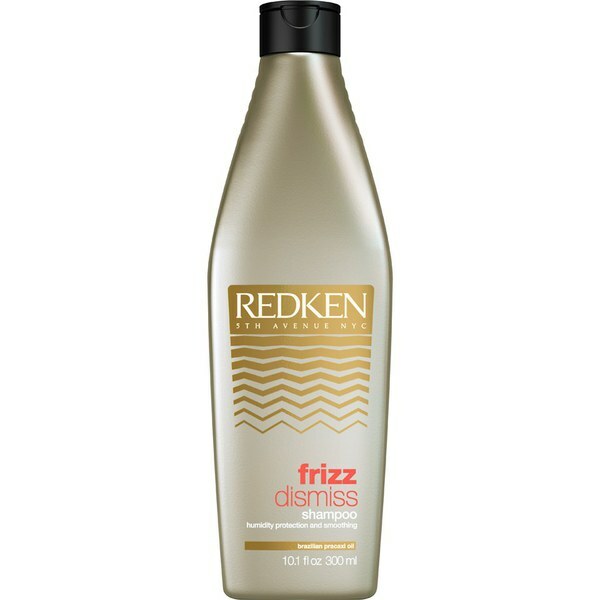 Suitable for all hair types, the Redken Frizz Dismiss Shampoo has been developed to leave you with smooth, sleek locks. The luxurious liquid gently eliminates dirt, impurities and excess oil from the hair and scalp, whilst penetrating deeply into the hair shaft to maintain moisture levels. Enriched with Brazilian pracaxi oil, the lightweight shampoo nourishes and strengthens fibres and its Humidity-Resist Complex delivers protection for calm, manageable locks. 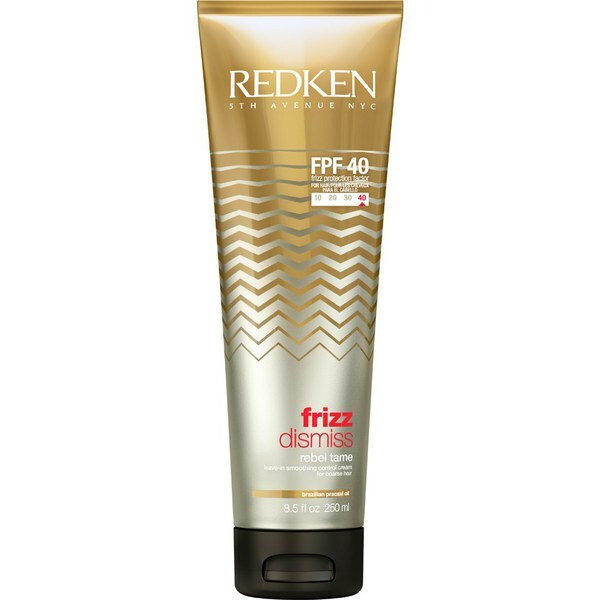 Tames frizz and flyaways so you can experience a salon style finish after every wash.
Tame frizz and flyaways with the Rebel Tame Control Cream from Redken, a lightweight, non-greasy cream to smoothen the hair's surface for sleek, silky soft locks. Suitable for coarse hair types, its unique formula is enriched with Brazilian pracaxi oil to lock in moisture levels, whilst reducing static to leave locks calm and manageable. 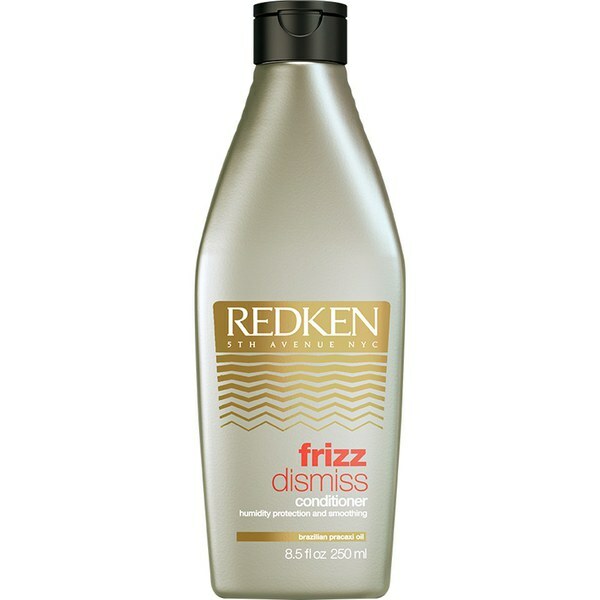 Delivers protection against medium to high humidity and heat styling up to 230°C.